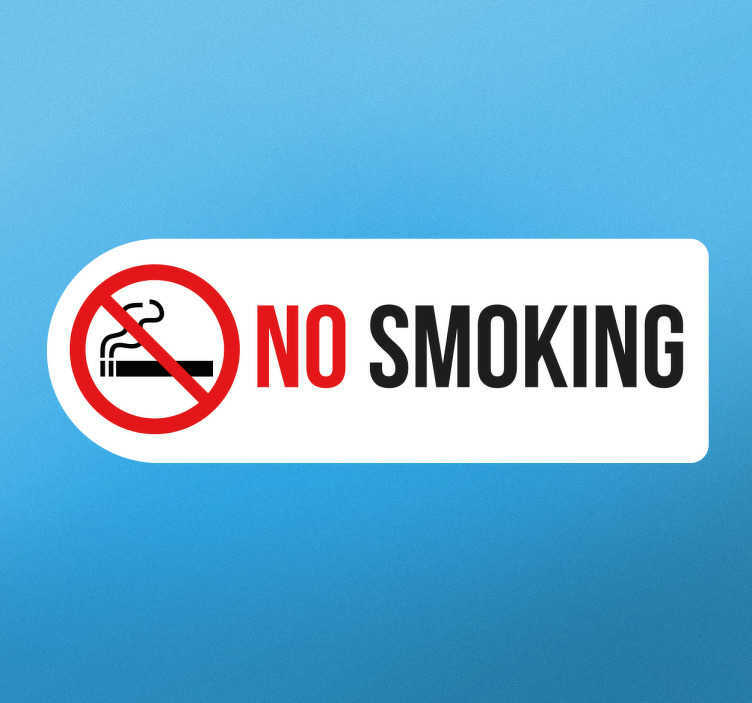 If you require your space to be smoke free, this "no smoking" sticker is ideal for your shop/restaurant/business! Featuring a scored out lit cigarette symbol alongside the text "no smoking", everyone will understand what this sticker sign means regardless of language! This vinyl is available in a variety of different sizes, and can be applied to any hard smooth surface including outdoors!